Home / Blackjack / Blackjack Dealer Tells – Can They Help You Win? This is a strategy that relies on a principle typically used in poker: reading your opponents’ body language to ascertain the nature of their dealt hand. Translated to blackjack, this means observing the dealer in search of unintentional signs that could reveal the range of his or hers hole card. In practice, this means that you can only use dealer tells when playing with a human dealer – either in an online live dealer blackjack game, or in a land-based casino. It also means that the potential of this strategy will vary depending on your table’s dealer. The best of them will know how to hide tells and will probably be impossible to read, while the more inexperienced ones could make winning easy. The above mentioned unreliability makes dealer tells a controversial blackjack strategy – some argue against it, while others patiently hone skills that will help them recognise dealer tells. And indeed, finding the right dealer will often require a lot of patience and skill – but it can prove to be well worth the trouble! There are many subtle dealer tells, and here are some of the standard ones. Paint Card Tell – paint cards (J, Q, K), as well as cards 7, 8, 9 and 10 are visually easier to recognise when peeking at their corners. When a dealer quickly glances at the hole card, it is very likely that the card belongs to this range. Low Card Tell – quite the opposite of paint cards: 2, 3, 4, 5 and 6 will require the dealer to look more carefully in order to see the hole card. If a dealer bends the hole card more and peeks at it longer, it is probably one of the lower cards. 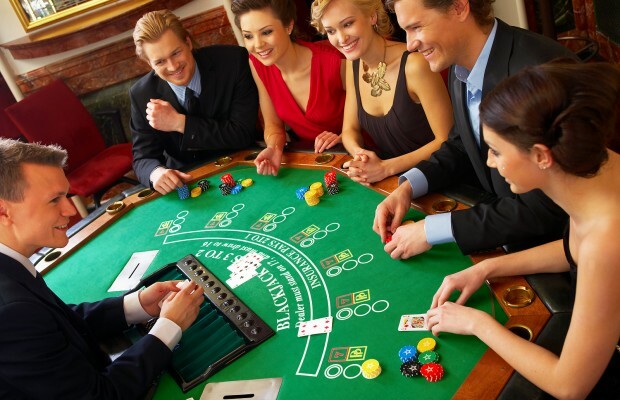 To conclude, dealer tells work as a good secondary blackjack strategy – one that you should keep in the back of your mind, so that you are ready to act upon it when you find the right table (dealer) to use it on. Next Story → How Can I Easily Learn Blackjack Basic Strategy?